When I worked in hospitals, I noticed many patients had trouble becoming an active participant in their healthcare, for various reasons. To address this concern, I spoke to Dr. Nancy Snyderman, Chief Medical Editor of NBC News and my colleague at CarePlanners. She told me the following story about how she takes control of her healthcare by “partnering” with her physician. Because her father was diagnosed with colon cancer and her grandfather died of it, she gets regular colonos­copies since turning forty, as do her siblings. The first time she had one, her doctor found an abnormal polyp and removed it. It wasn’t cancer, but she believe it was headed in that direction. Each year on her birthday, she schedules the necessary battery of tests—a physical, a pelvic exam, a mammogram. Doing this gives her a sense that she can control certain aspects of her life and her healthcare. Every three years, she have a colonoscopy. Again, that may be too often for some of you and not often enough for others, but that’s the point. She gets what she needs—what she believes will keep her engine going. She feels very comfort­able with the screening procedures she’s have outlined for herself, and I believe you have to be just as comfortable with whatever you and your doctor establish for you. Discuss: Sit down and talk about the tests and decide which of them you need, in addition to your annual checkup. There is no such thing as a “routine” screening or checkup, either, since everyone is different. We all can gather information, look at our family trees and how we have lived our own lives, and forecast the reality of what may lie ahead. List: If it’s too much to think about all at once, sit down and make a list of the diseases or conditions for which you may be at risk—and those you have now. Put pen to paper and take a few days to be thorough. Talk to your doctor about what tests should be individualized to your needs and at what age you should start getting them. Prepare: Jot down questions and concerns: I have periodic headaches. Is this a sign of tension, a hormone imbalance, an injury, or some other condition? I’m not sleeping well. Should I take some sort of medication? I have some moles that seem to be changing. Should I see a specialist? My bowel habits are irregular. Is there a test I should have? Also, bring in a list of all medications you’re taking—including prescription medicines, over-the-counter drugs, and dietary supplements you are currently on or have stopped taking within the last month. List how often you take them and what dosages. Lastly, remember: It’s your body—not your doctor’s—so be an active participant in your health. 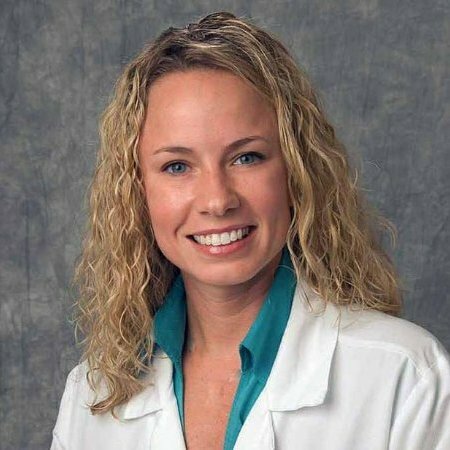 Crystal Fornes is a nurse practitioner and patient advocate with over 10 years of experience. She is also helping Dr. Nancy Snyderman, Chief Medical Editor of NBC News, start CarePlanners, a company that helps patients and caregivers make better decisions as they navigate the healthcare system with expert support and personalized technology. This entry was posted in caregiving, chronic conditions, eldercare, health care, making a plan and tagged aging, caregiving, caregiving and stress, chronic conditions, eldercare, elderly, health care, Healthcare, healthcare, In Home Caregiving, making a plan, medical, physician. Bookmark the permalink. When partnering with your physician, one way to make record keeping and note-taking a little easier is to designate a central location for all of it, and one that other family members can access (if you so desire). Senior Care Society offers a free tool called the Family Portal, which allows visitors to create a secure personal website (with full control over what is displayed and who can access it). The Journal feature (an electronic diary) allows you to track, categorize and share information on things like medications, hospital stays, health status, and legal/financial information. The calendar feature is useful for tracking appointments, scheduling family meetings, or making notes of what happened on that particular day at the hospital. You can upload and share important documents so that all family members have access to what they need when they need it (i.e. estate plans, living wills, property lists or any other essential documents); you may also create and maintain a contact list for all the people who are involved in your loved one’s life and want updates on their health status.